On International Women’s Day, I was happy to see a lineup of four women at the head table for a workshop on the Civil Society Boost Initiative (Strategies and Tools for CSO Sustainability). At the opening ceremony, the partnership in this initiative was represented by Head of the European Union (EU) Delegation in Jamaica, Ambassador Malgorzata Wasilewska and Executive Director of RISE Life Management Services (the implementing partner) Sonita Abrahams. Attorney General Marlene Malahoo Forte and Opposition Spokesperson Lisa Hanna also spoke at the opening at the Jamaica Conference Centre on March 8. RISE Life Management Services is a remarkable organisation that has “stood the test of time,” as they say. Founded in 1989 as Addiction Alert Organisation, it received an EU grant the following year that allowed it to expand into its building downtown. 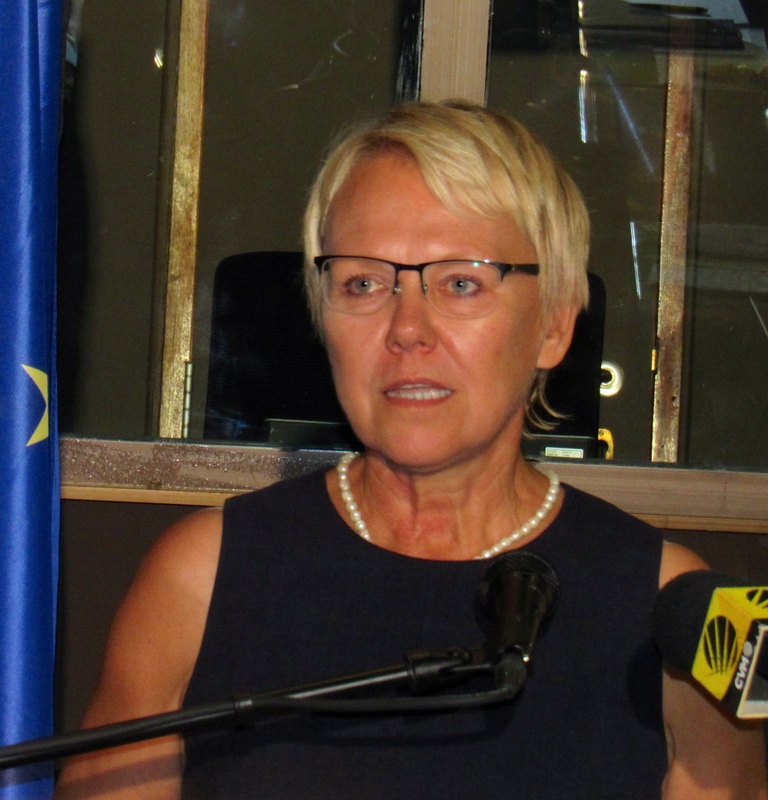 The relationship has remained a close one, with the non-governmental organisation receiving J$224 million in EU grants over the years. 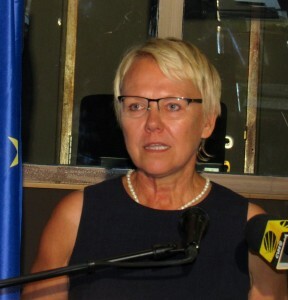 Now Ambassador Wasilewska, who has worked actively with civil society organisations (CSOs) in the past, recognises their shortcomings and their needs. 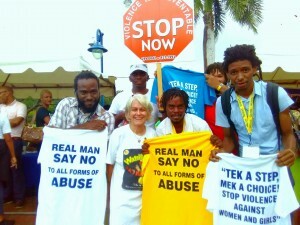 She knows the challenges, while acknowledging that CSOs play an important role as the “voice of the voiceless.” She expressed the hope that the results of the initiative would really contribute to the reduction of crime and violence in the society – an underlying theme of many Jamaican projects, these days. This is an area that RISE gradually turned towards with its new name (RISE is an acronym for Reaching Individuals through Skills and Education). 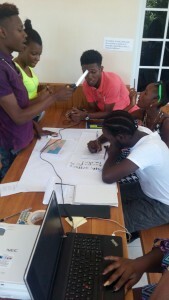 Its main focus now is on at-risk youth in several inner city Kingston neighbourhoods. So the Civil Society Boost Initiative will offer support to non-profit organisations working with women, children, people with disabilities, people living with HIV/AIDS, at-risk youth and the LGBT community. It will select ten organisations for intensive training and individual coaching sessions in several critical areas, including proposal writing and budgeting; monitoring and evaluation; communications and public relations; funding diversification; financial management; basic IT skills; and business structure and internal governance. A total of J$10 million will be made available to selected organisations through a mini grants programme. During the breakout workshops, several interesting discussions emerged. A representative of Life Yard (the first eco-village in the city of Kingston, a social enterprise with a community feel) mentioned his great dislike for the term “unattached youth”; others agreed with him that CSOs and funders alike should “move away from stereotypes.” It doesn’t help. In every aspect of CSO work, however (in particular fund-raising and public relations) speakers emphasised “networking is critical!” CSOs cannot hide in a corner; they must be out there, seizing every opportunity to connect with the “right” people – and people in general. It will pay off; funders, partners, supporters will remember you. That person-to-person contact is just as important as a fabulous Facebook page. 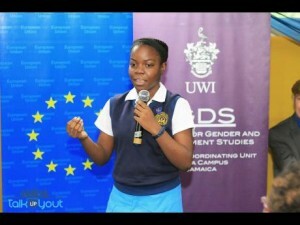 Since the International Women’s Day focus – in Jamaica at least – was violence against women, Ambassador Wasilewska pointed out an initiative it has embarked on with the Institute of Gender and Development Studies and the World Bank: a series of conversations with student leaders at high schools on gender-based violence and economic empowerment for women. Ms. Hanna’s speech was a plea for “decency, high self-esteem, patriotism and courage” – a theme she has been very much focused on and which, I believe has considerable merit (despite her critics). “We’re forced to confront violence and aggression from many quarters,” Ms. Hanna stressed, pointing out that over 85 per cent of Jamaican children aged 2 – 14 years have experienced some form of violent discipline (a statistic from UNICEF). Ms. Malahoo Forte focused on the UN theme of decent work but stressed the importance of including the “vulnerable, underserved and marginalised” in all development initiatives, for them to be sustainable. The Civil Society Boost Initiative certainly takes this into account. By the way, applications for the Civil Society Boost Initiative must be submitted online on the RISE website – not later than March 31, 2017. Only a few days left! Hard copies can be submitted to: Attention: Civil Society Boost Initiative Call for Applications, RISE Life Management Services, 57 East Street, Kingston. No late submissions will be accepted!